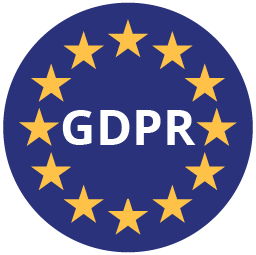 The General Data Protection Regulation (GDPR) is a law passed by the European Union, establishing privacy requirements for any businesses dealing with European data or customers. This means more businesses must be in compliance with this requirement than you may realize, as many who sell services over the internet or have a web page that users access and store information may be affected. The European Union has established hefty fines for all businesses who are not compliant, so you will want to ensure that you are not in violation! Fortunately, Aerstone has a verified process in place to ensure that your business is fully compliant with the complicated GDPR requirements, allowing nothing to slip through the cracks. Aerstone has an extensive background in privacy and information security. We can provide a clear strategy to ensure that your business protects the privacy of your European customers, ensures that data is protected to the applicable standards, and that any cyber incidents have a clear resolution that does not make your business liable or subject to hefty fines. GDPR is extremely complicated, so if you are not 100% sure of your firm’s GDPR requirements, we can also help you interpret the law and determine the proper path for your business, creating GDPR-compliant processes. Many firms are surprised to learn that they are still required to adhere to GDPR standards, based on what may seem on the surface to be trivial data. If needed, we can assist you with the incident response process, should a security incident occur. As a first step toward assessing your firm’s GDPR exposure, please visit the official website. Aerstone’s cybersecurity experience and privacy knowledge puts us in a unique position to help your business protect itself from GDPR noncompliance, and potentially astronomical fines. Aerstone can assess your GDPR compliance, help you define a comprehensive compliance strategy for your business, and if necessary, assist in engineering the proper controls and network configurations to ensure that private data is properly protected. We can also help draft the required policies and procedures to ensure these measures continue to function in the long term, to help protect your firm from fines or sanctions.